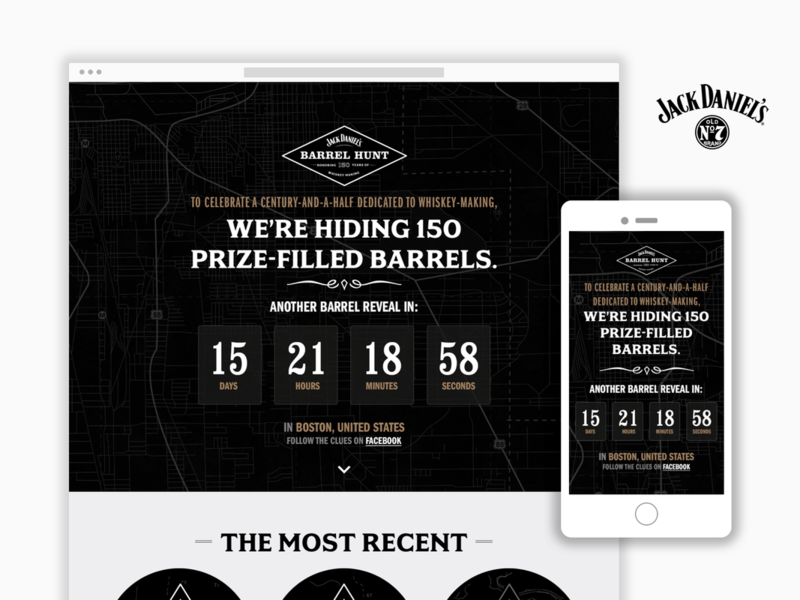 ​OVERVIEW: The Jack Daniel’s barrel has remained a critical part of the whiskey making process for 150 years, contributing to 100% of its color and majority of its flavor. 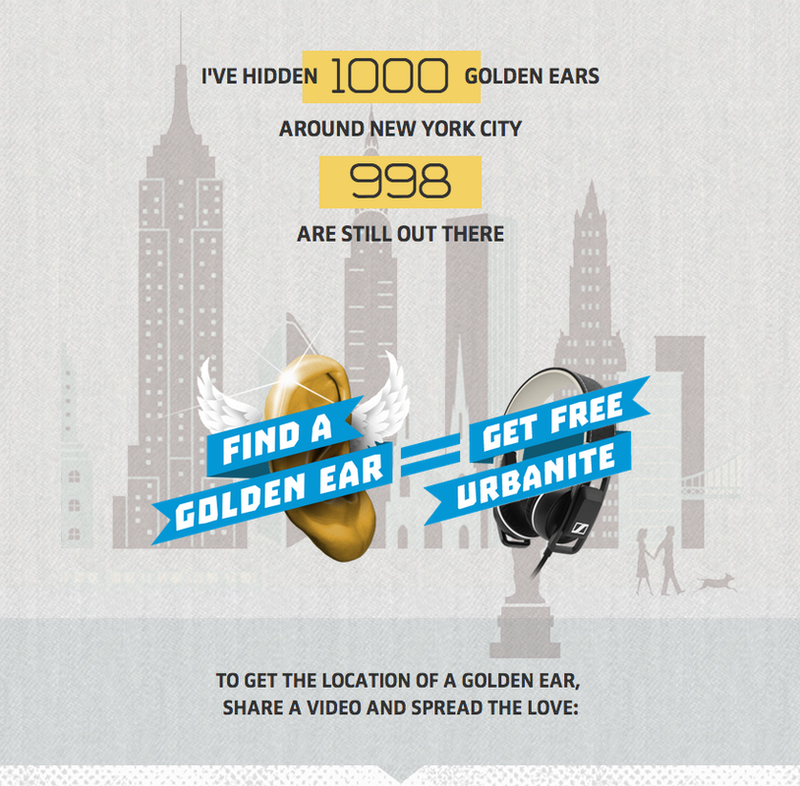 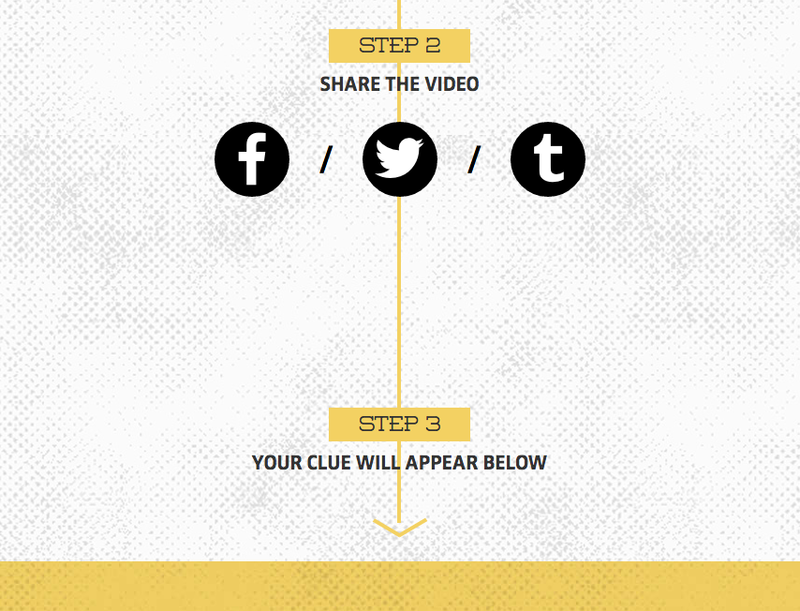 So in honor of the 150th Anniversary of the Jack Daniel Distillery – the oldest registered distillery in the U.S. – Jack Daniel’s launched a worldwide scavenger hunt that put the barrel in the spotlight. 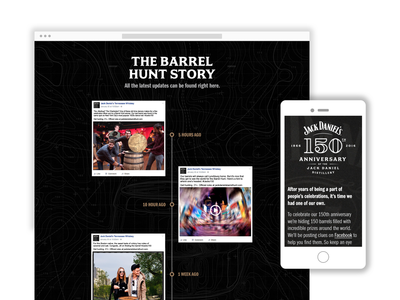 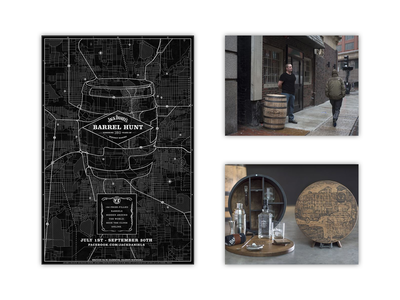 The first-ever global Jack Daniel’s Barrel Hunt consisted of 150 authentic handcrafted whiskey barrels being hidden at historic and cultural sites in more than 50 countries over the course of 90 days. 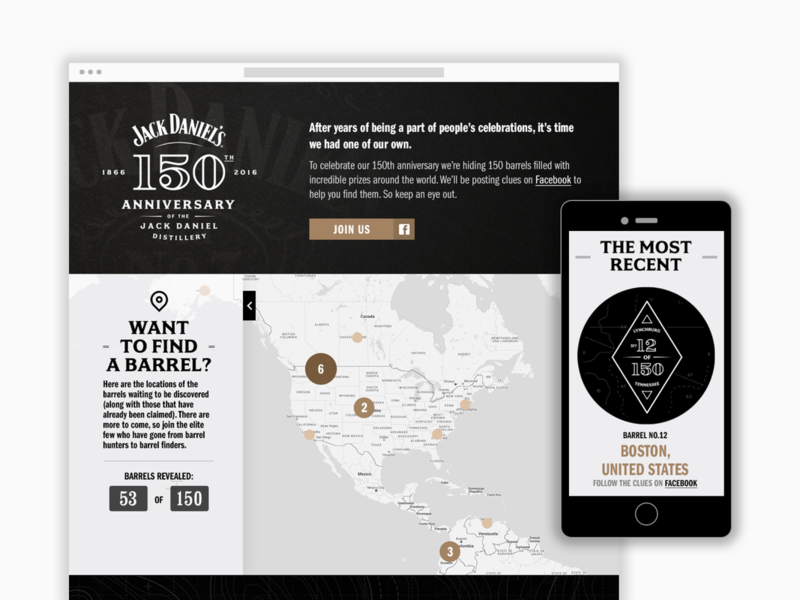 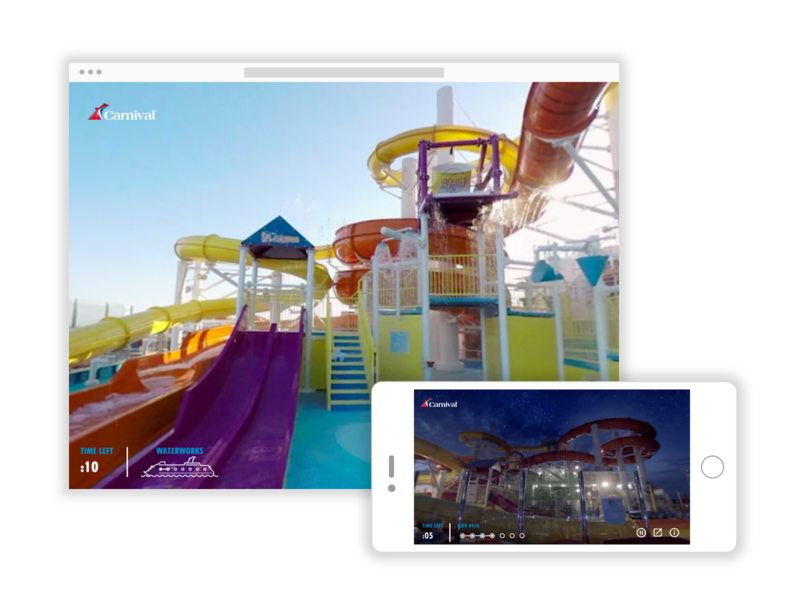 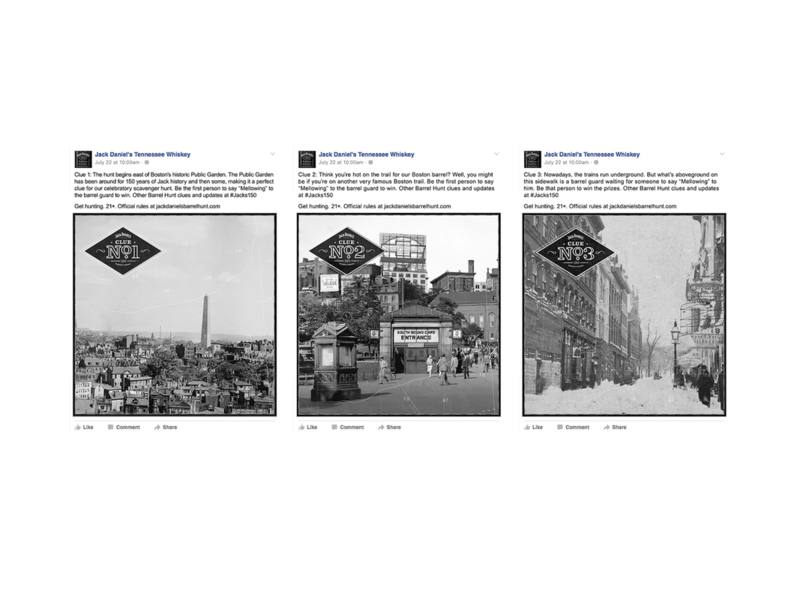 The program came to life via Facebook, where Jack Daniel’s published several clues each day on local market pages, and a microsite that aggregated global activity. 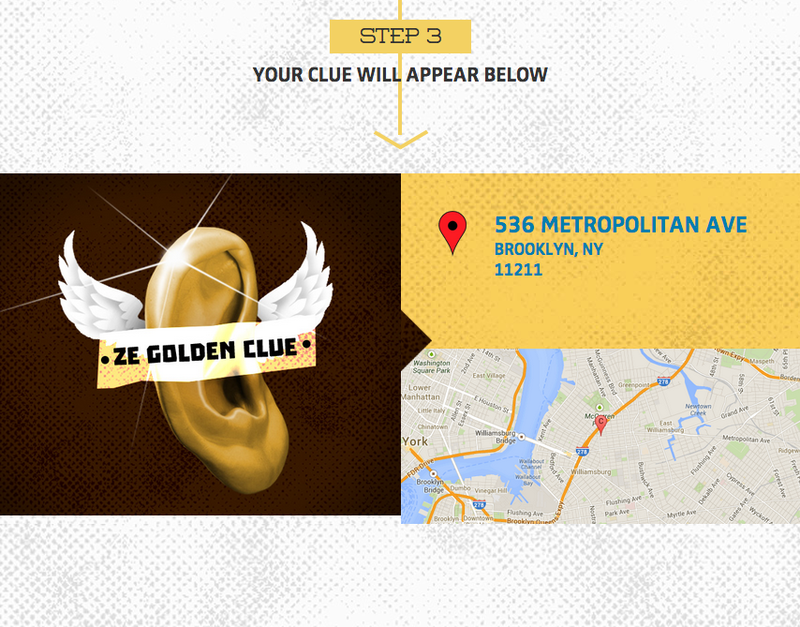 The first person to solve the clues and find the secret location where the whiskey barrel was hidden received a one-of-a-kind bar kit, prizes tailored to each region, and a piece of Jack Daniel’s history: an authentic whiskey barrel, specially fabricated for the Barrel Hunt. 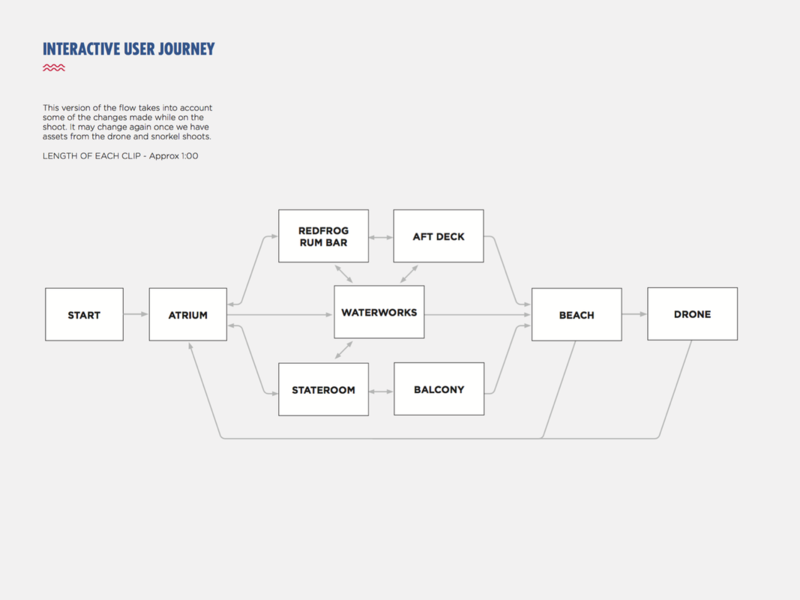 ROLE: Oversaw the conception and design of the overall experience. 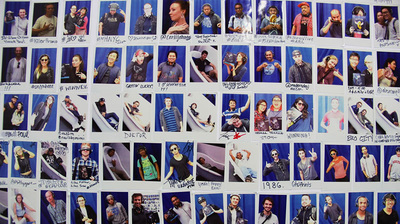 Part of the core team that sold through the idea. 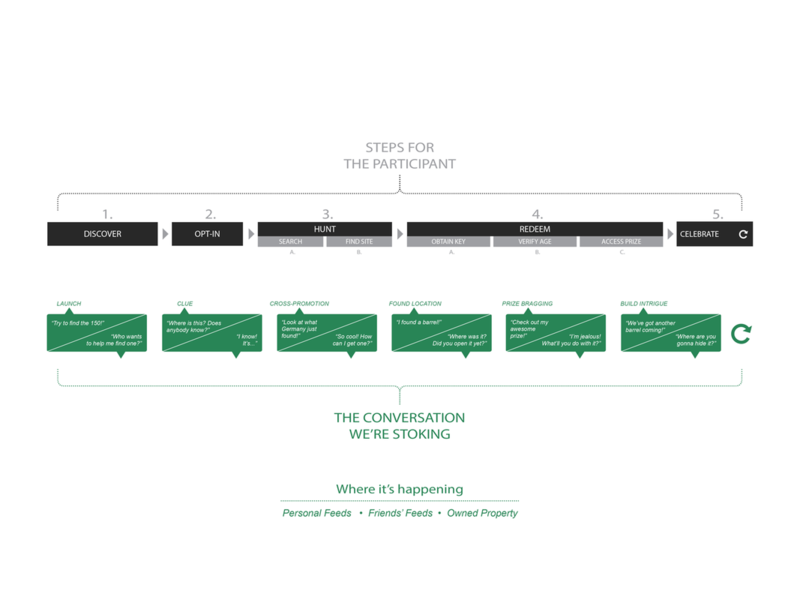 Defined the campaign architecture, competition mechanics and how the participants and spectators engaged with the experience. 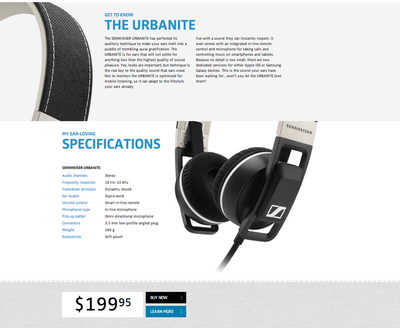 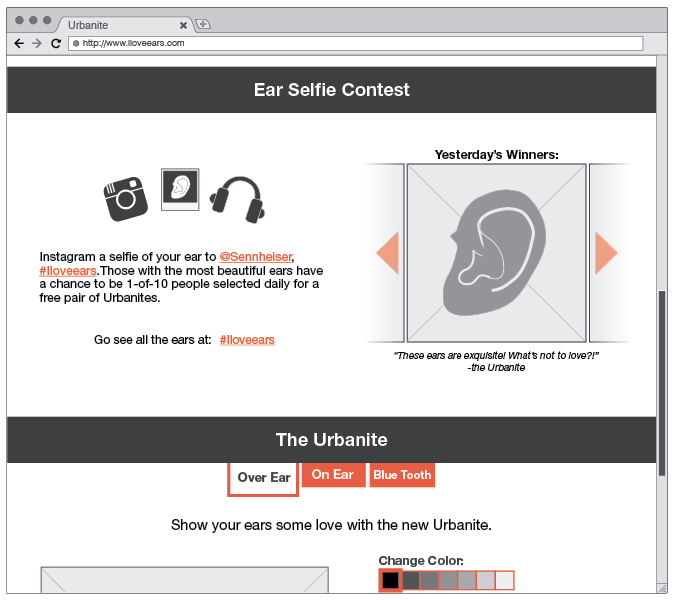 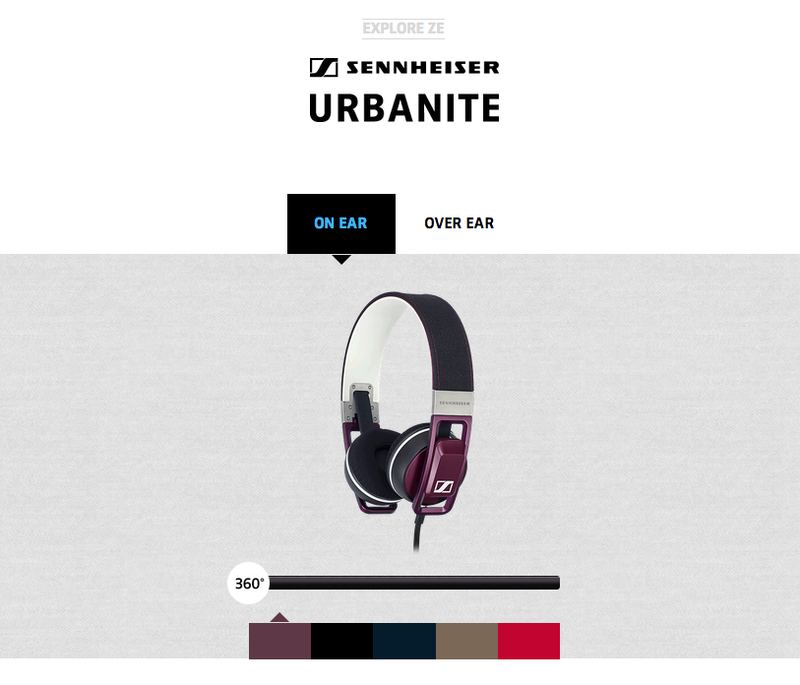 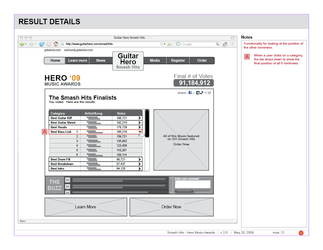 Also oversaw the more detailed UX and UI design of the competition website. 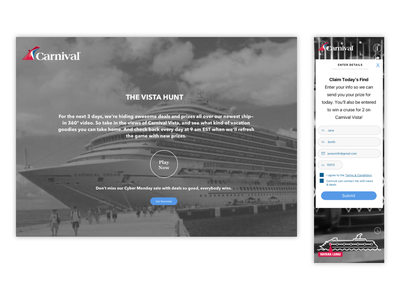 ​ROLE: Creative UX Director that oversaw the conception, UX and execution of the interactive platform. 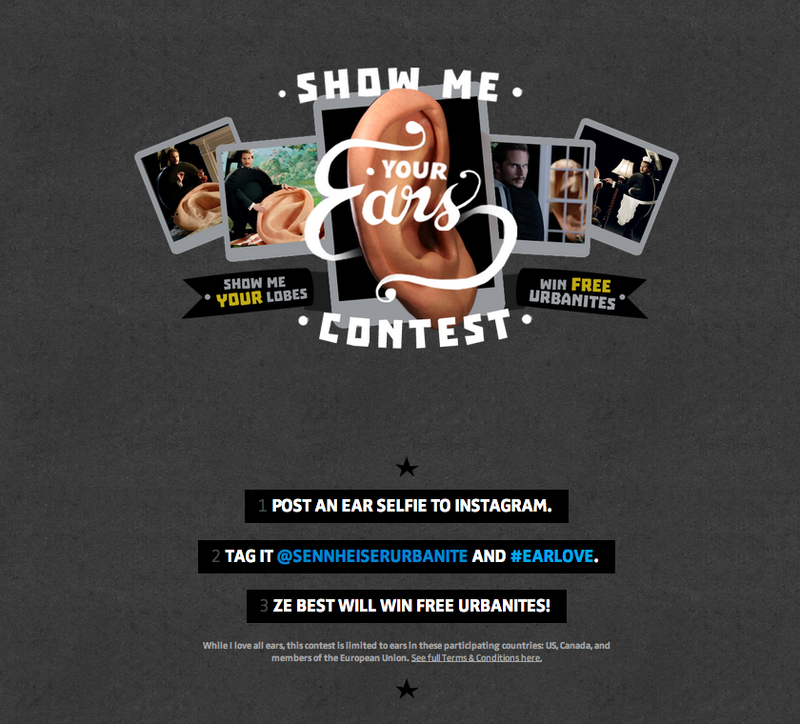 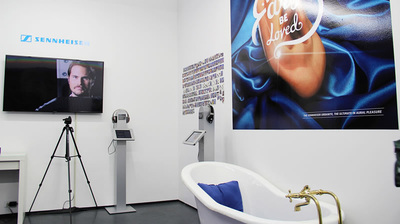 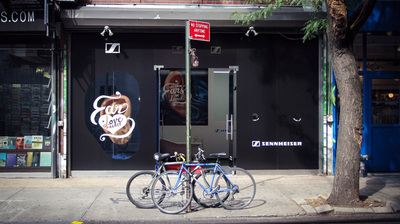 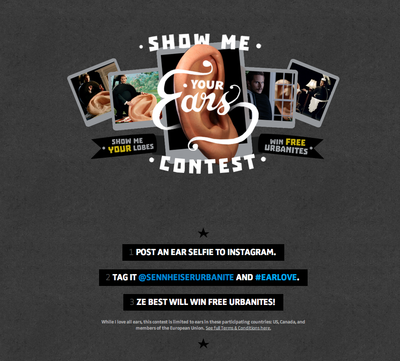 ROLE: Lead Experience Designer for overall campaign including the main interactive destination, the global Instagram contest, two digital-to-physical "scavenger hunt" contests (in NYC & London), relationships to Sennheiser's e-com platform and various surrounding media interactions. 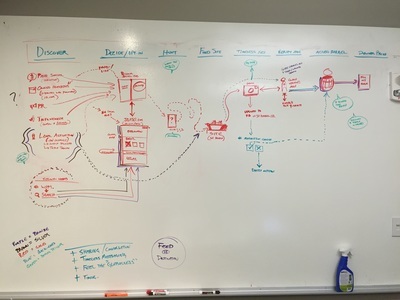 Played an active member from business assignment, through concepting, selling, execution, launch management and design iteration. 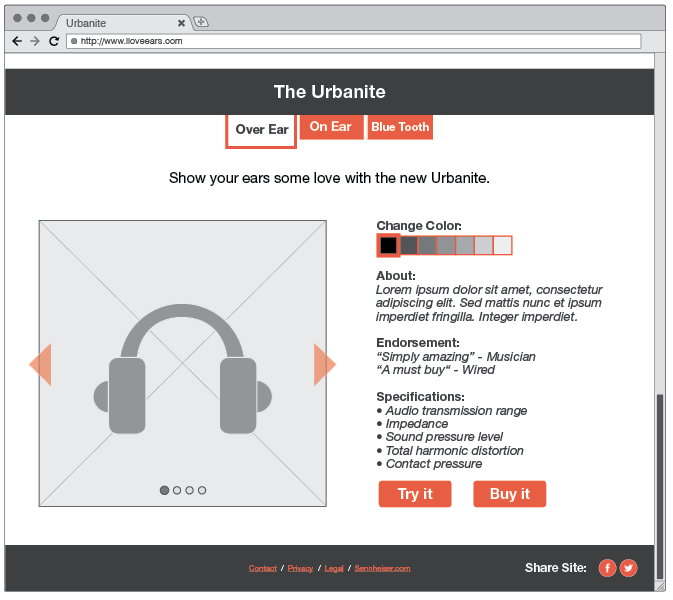 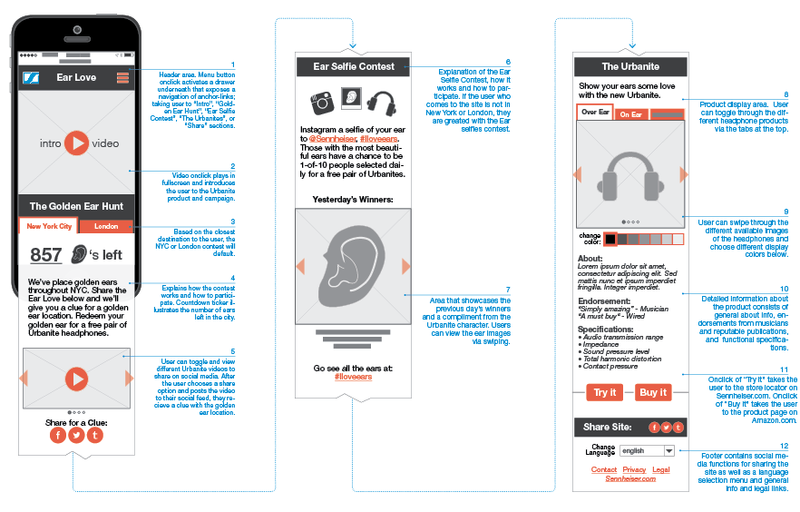 Built and tested interactive prototypes to validate and dissolve concerns with the experience. 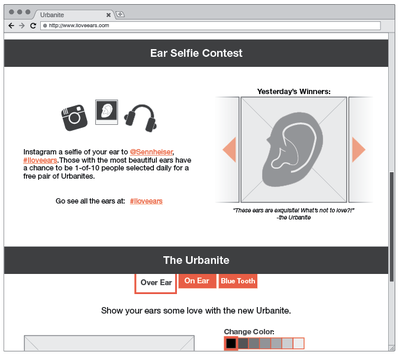 RESULTS: The campaign garnered over 323 million earned and owned media impressions among millennials and was upvoted on Reddit 91% of the time, making the front page of the Internet. 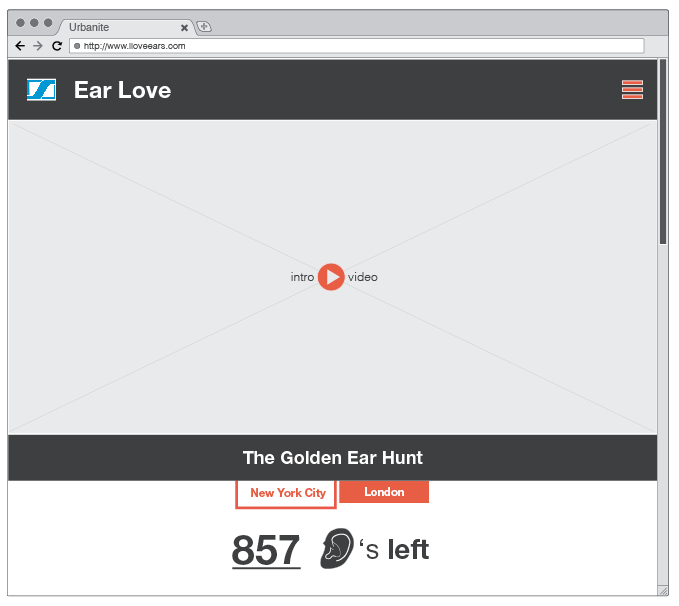 And landing page visits were up 321% over goal. 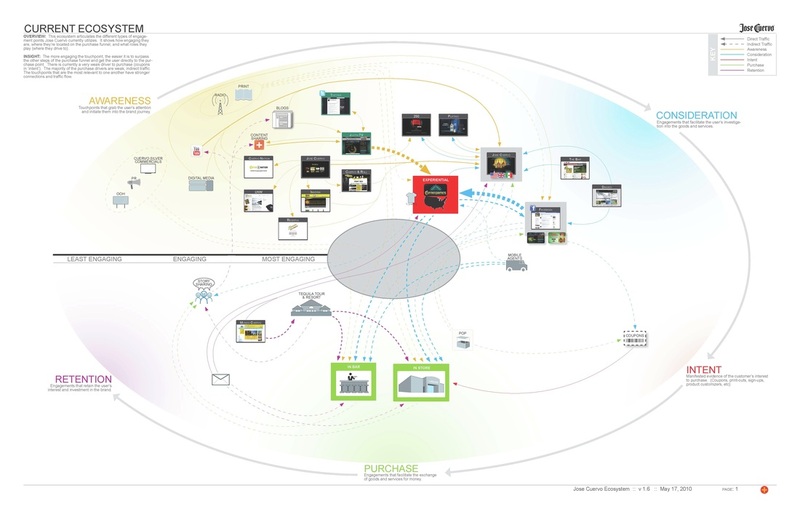 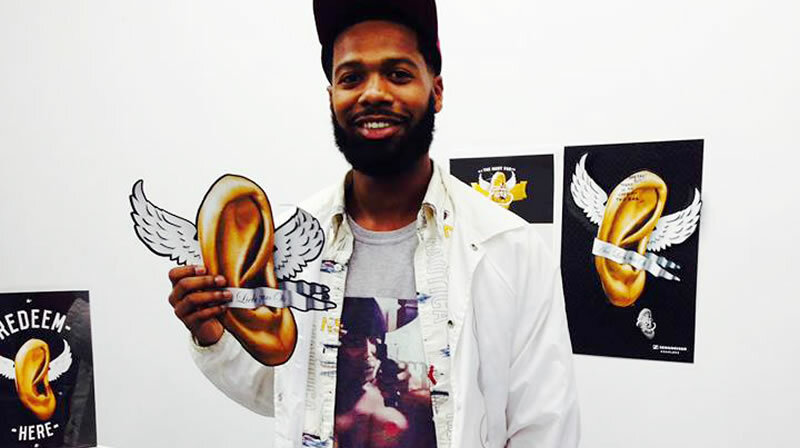 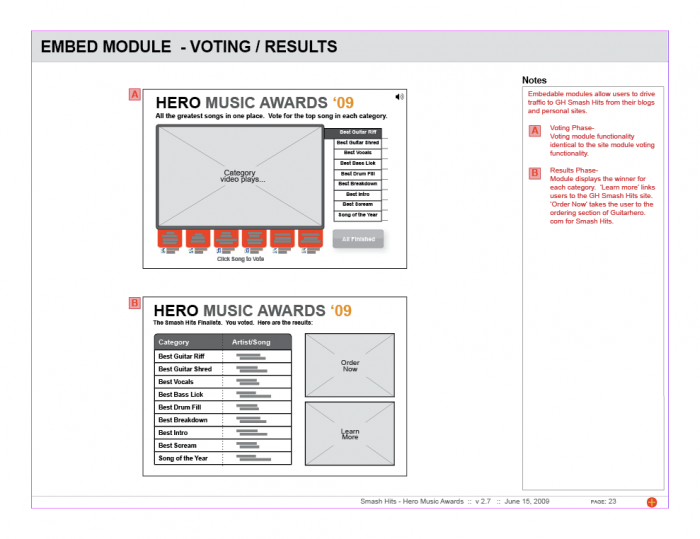 AWARDS: Art Directors Club (Integrated, Bronze), Mixx Awards (Shortlist). 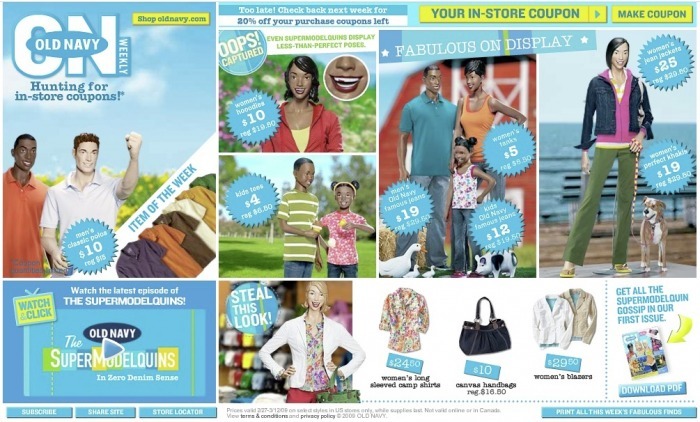 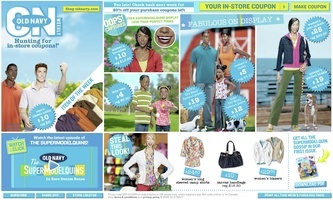 OVERVIEW: Old Navy Weekly is an online coupon platform that delivers on the overall Old Navy promise of “Fashion Fun for All”. 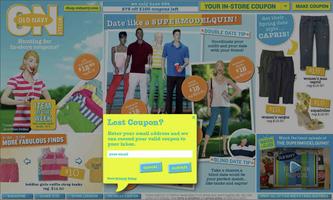 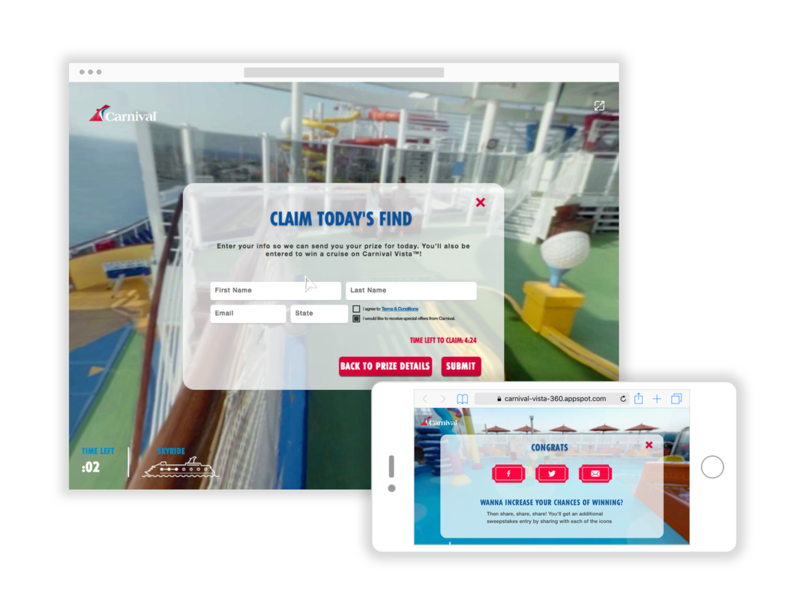 It is an interactive "pre-shop' coupon-hunting microsite that inspires weekly visitation and drives users instore for redemption. 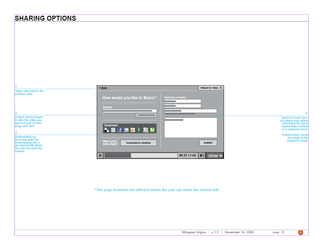 ROLE: Primary user experience designer from original concepting through execution. 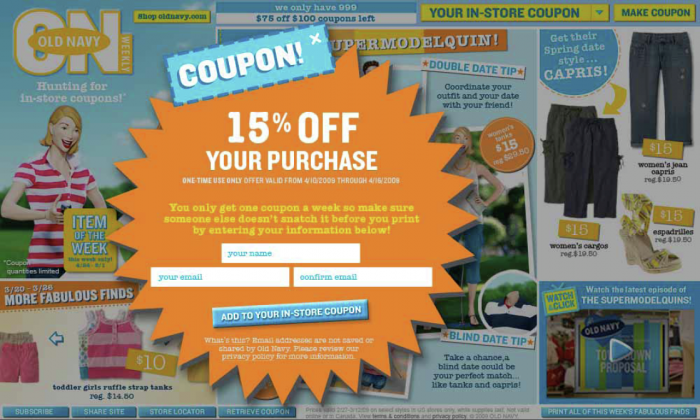 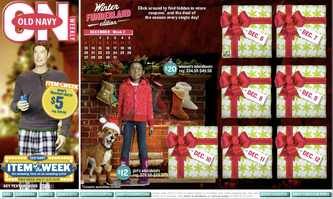 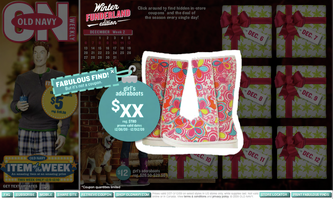 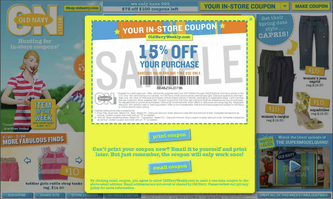 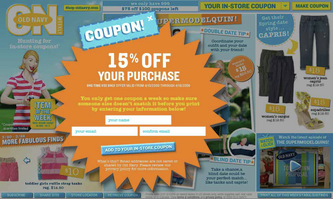 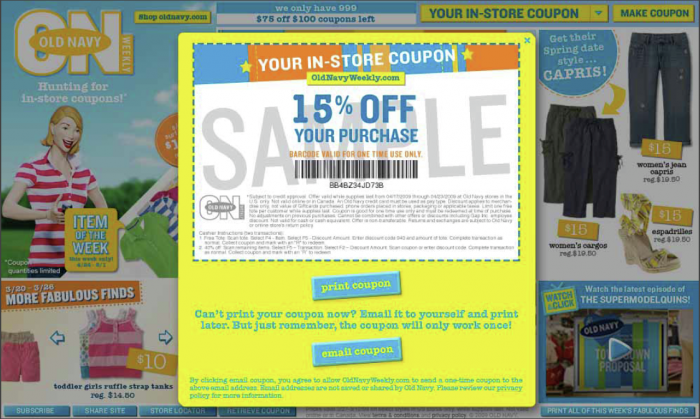 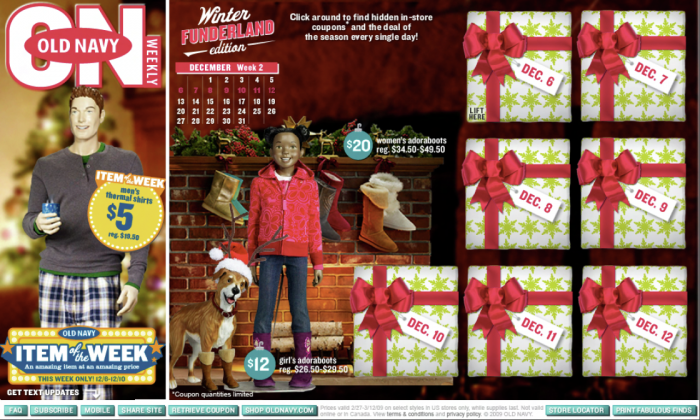 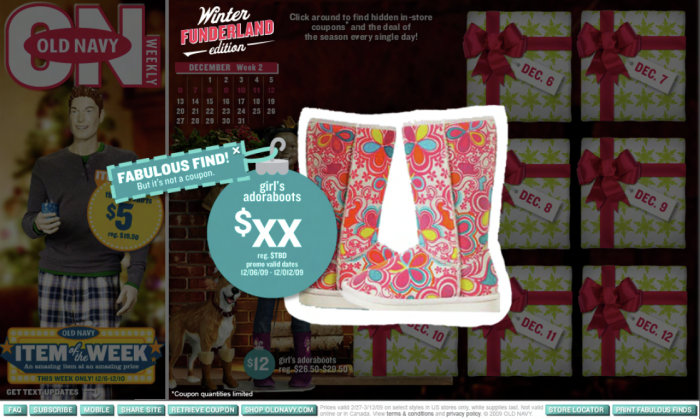 Designed the original site functionality as well as developed the weekly interactivity and coupon functionality. 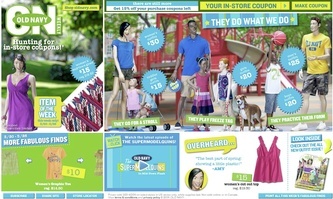 Participated in the original campaign ideation for the Old Navy business pitch and worked on all Old Navy interactive campaign initiatives for 18 months overall. 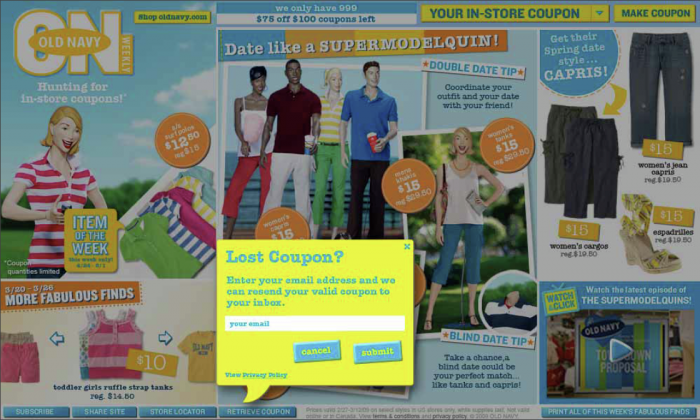 RESULTS: Old Navy Weekly created thousands of loyal fans, repeat site visitation and crazed coupon bloggers. 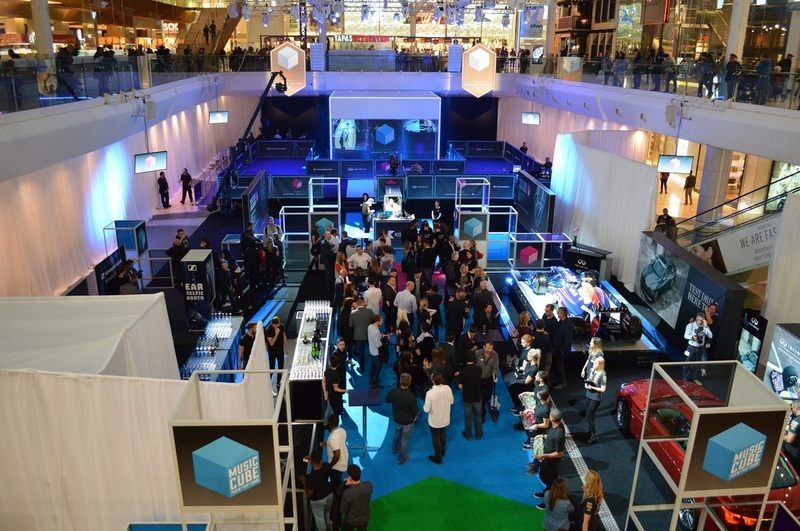 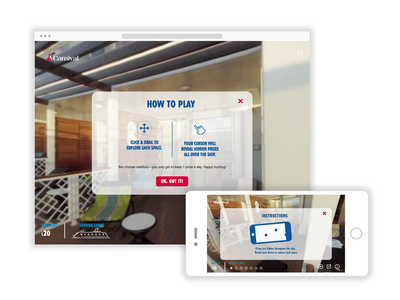 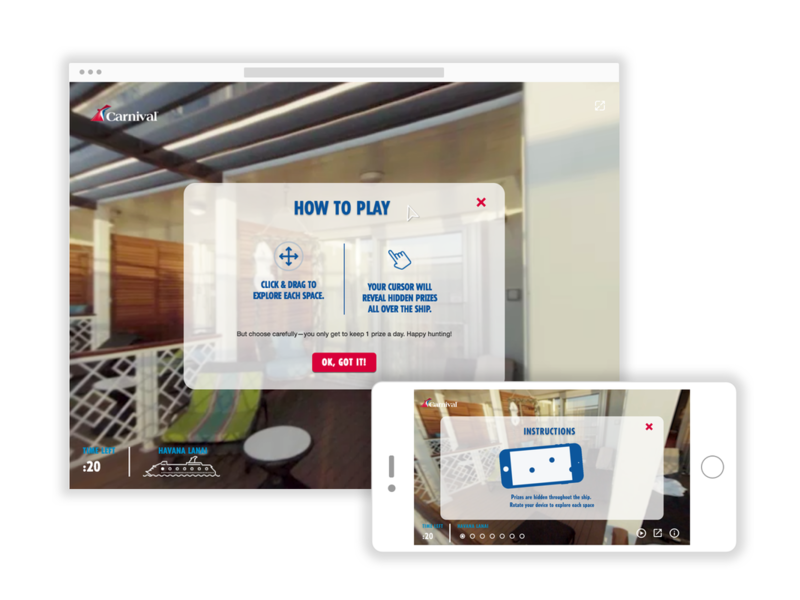 We successfully created an online interactive experience that drove thousands of people instore (which converted into significant profit). 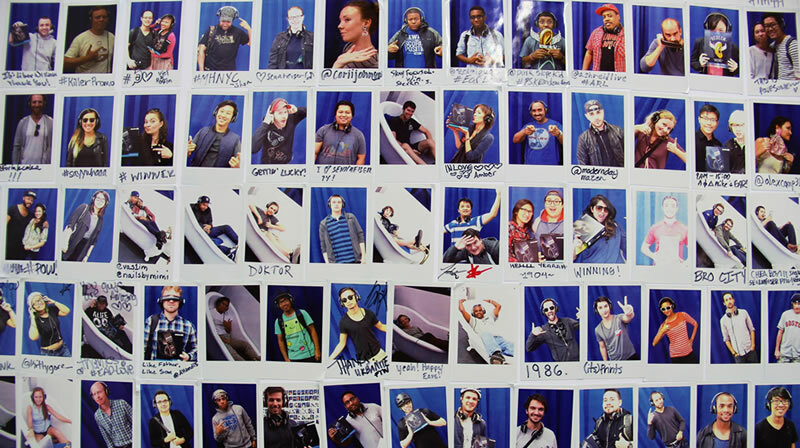 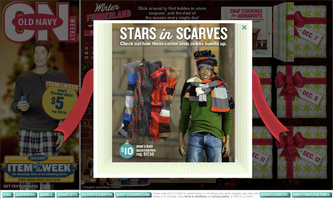 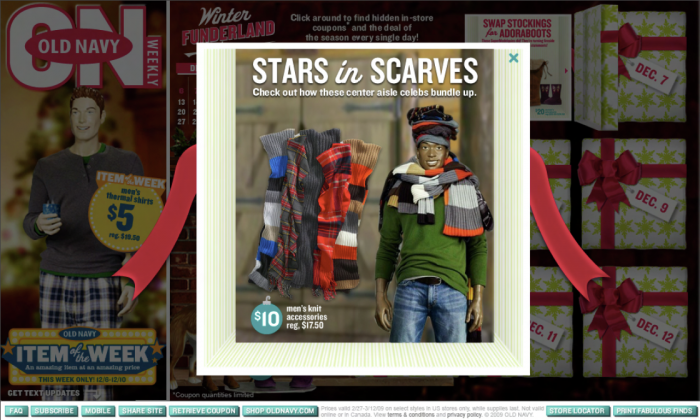 The Old Navy Weekly site paid for itself within the first 2 weeks of being launched and was live for only 1 year. 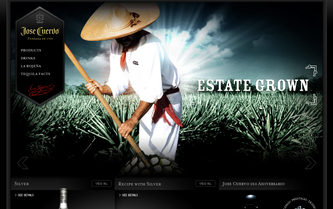 ​OVERVIEW: Jose Cuervo is the world's largest producer of Tequila. 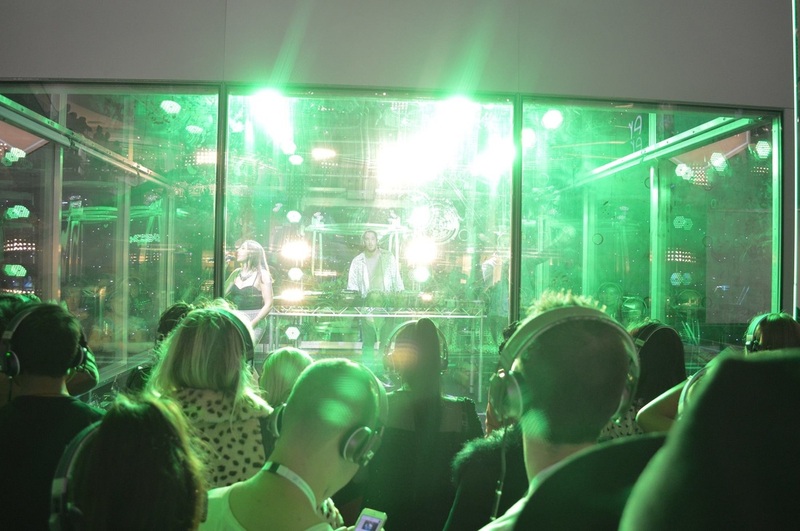 We recently launched a multi-tiered national marketing campaign for them that illustrates how the legendary Tequila brand can bring together many different elements of a night to take it from exciting to epic. 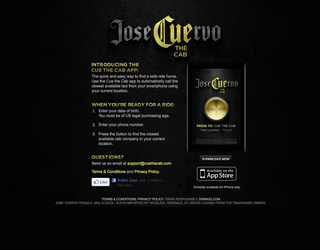 "Cue the Cuervo" is inclusive of television, out-of-home, online, print, radio, public relations support, experiential marketing, and a social responsibility program with groundbreaking digital extensions. 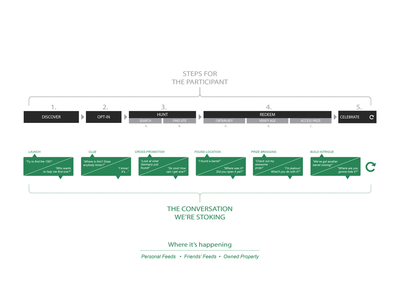 ROLE: 1 of 3 people developing the creative strategy and defining the direction of the campaign and it's initiates. 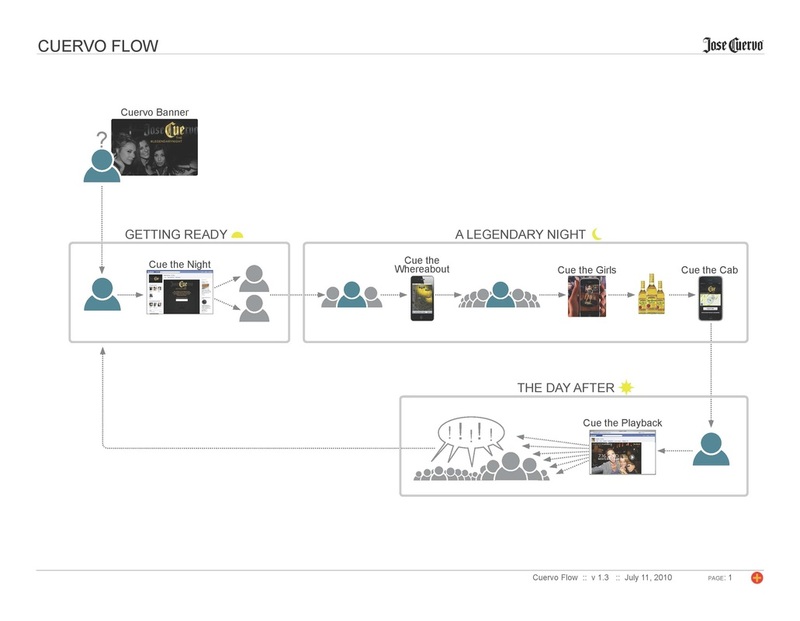 The aim of the brand is to be the catalyst for legendary nights, so it was my responsibility to ensure that all of the different engagement points helped support the narrative of a user's nightly journey from preparation, to meet-up, socializing, building up the night, and finally helping reflect the day after and retaining Cuervo fans. 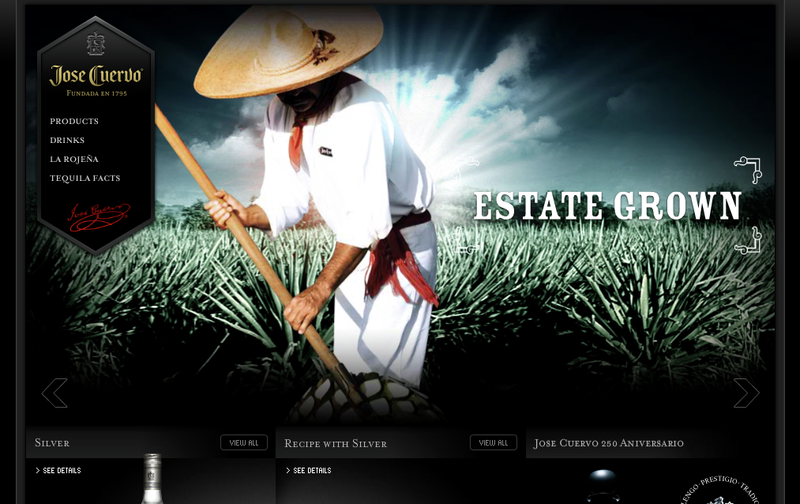 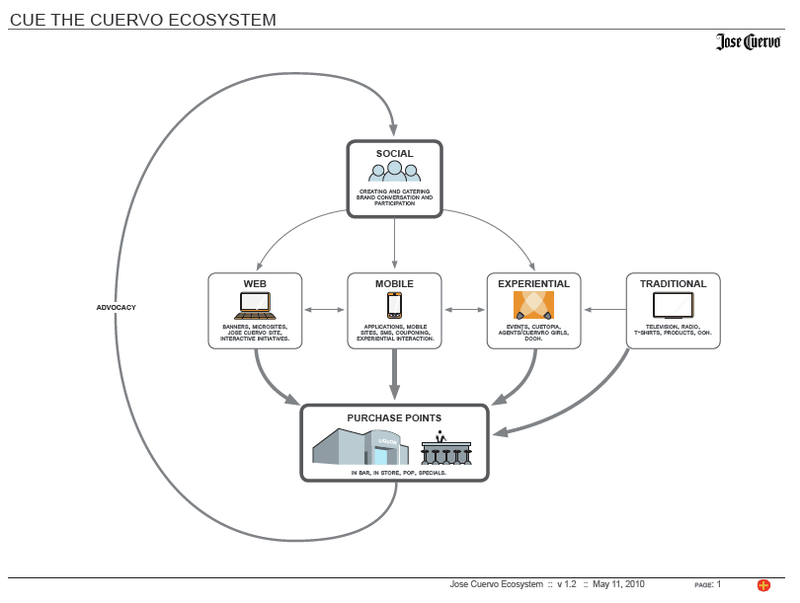 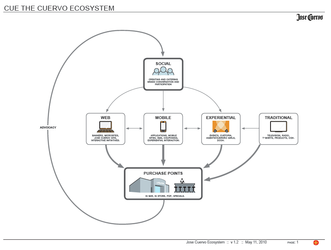 RESULTS: A fully integrated rejuvenation of the brand with profound digital impact where Cuervo previously had none. 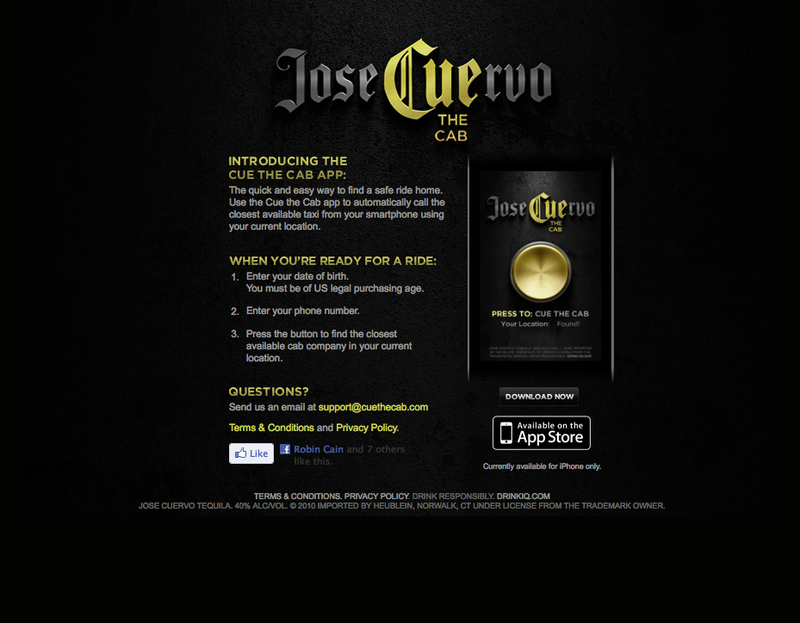 This was one of the first highly effective, fully-integrated campaign launches that an alcohol brand has done. 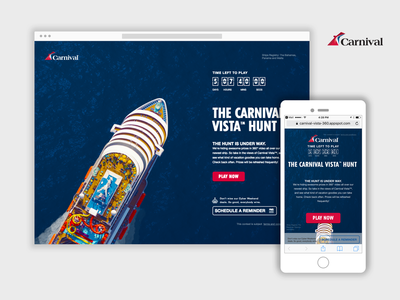 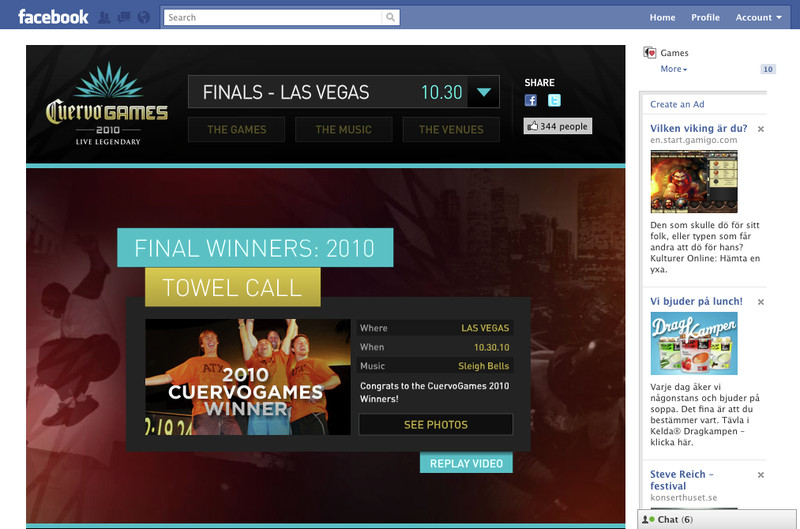 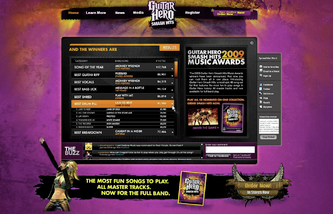 The primary digital initiatives produced were .com homepage redesign, Facebook page redesign, Cuervo Games Facebook app redesign, Cuervo Games event redesign, web banners, and the Cue the Cab iphone app. 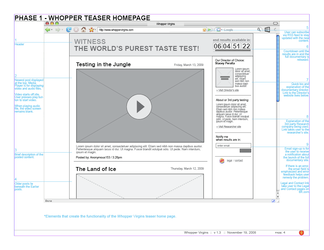 OVERVIEW: This web experience answers the age-old question: What tastes better, Whopper or Big Mac? To answer this truthfully, we asked people with no preconceived notions and no exposure to advertising. 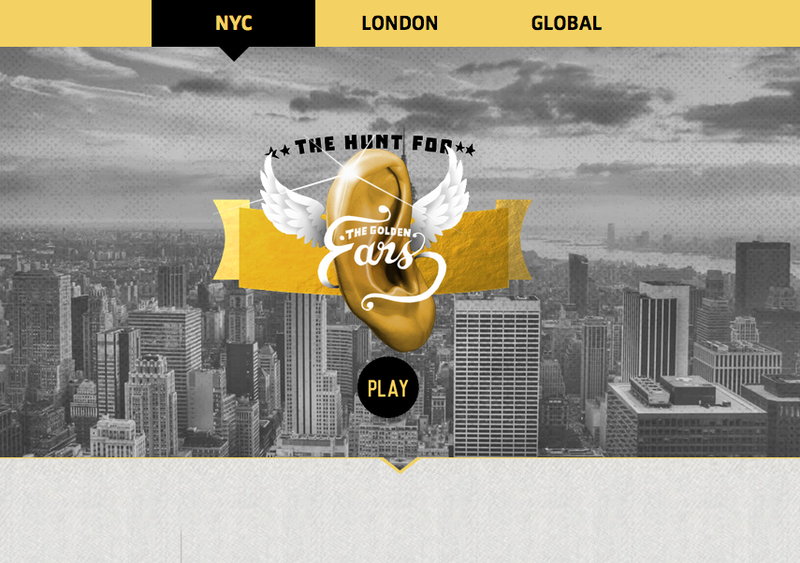 Hiring award winning director Stacy Peralta to document the story, the team set off to meet Inuit of Greenland, Transylvanians of Romania and Hmong of Thailand and give them their first burger ever. 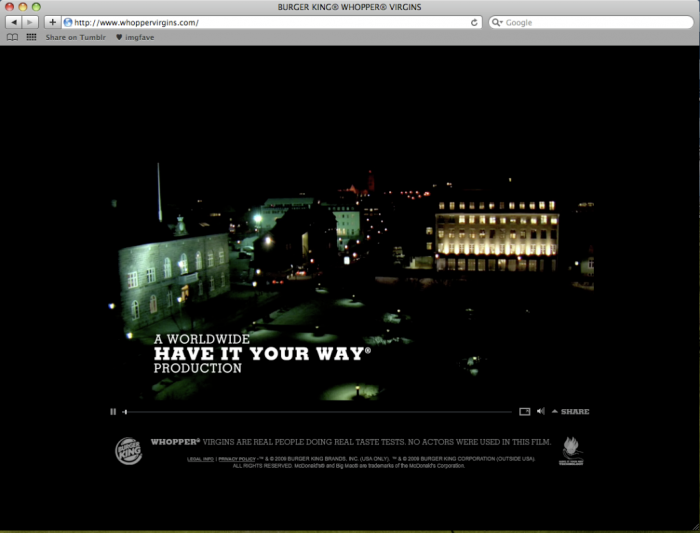 The documentary telling this story needed to be coupled with an effective TV and online campaign. 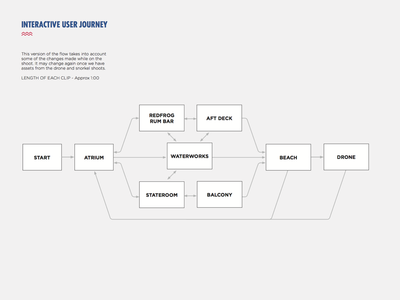 ROLE: Primary Experience Designer. 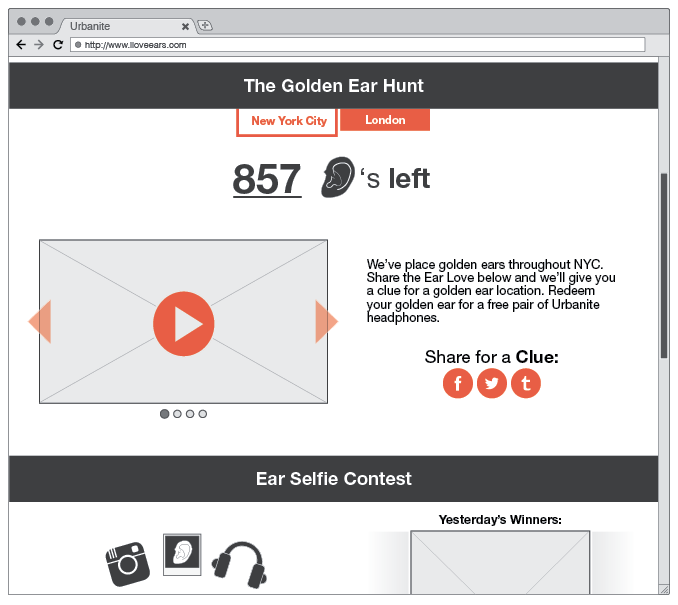 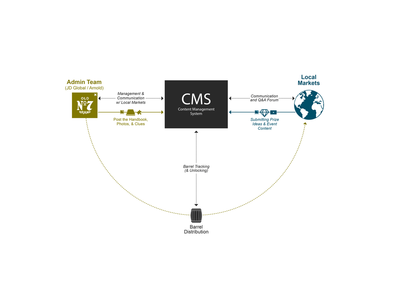 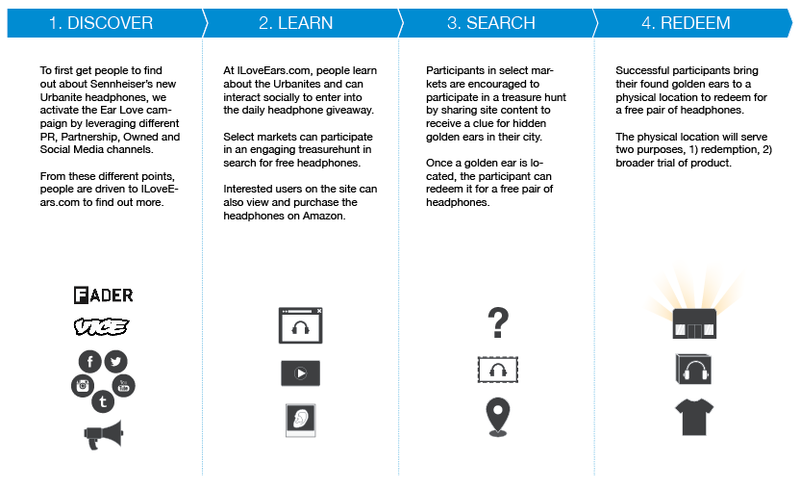 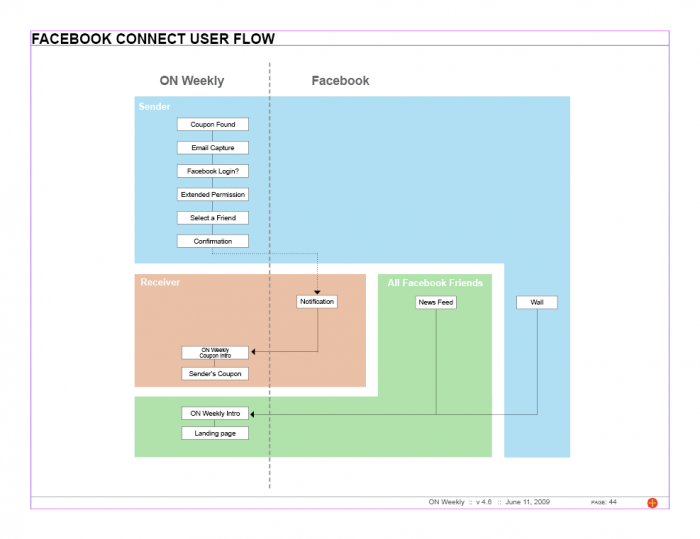 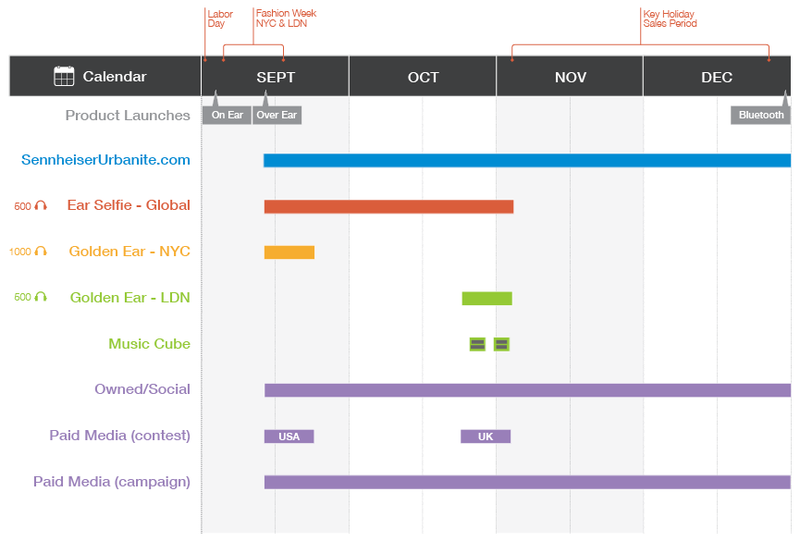 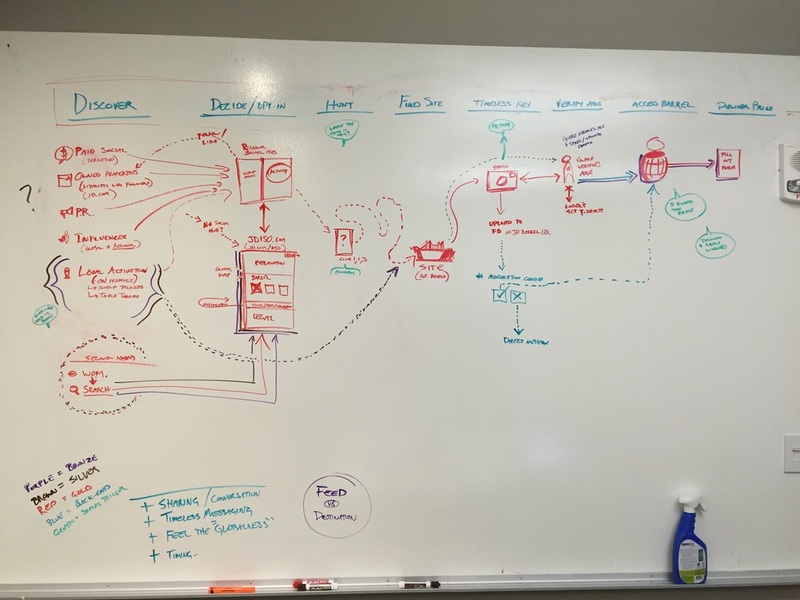 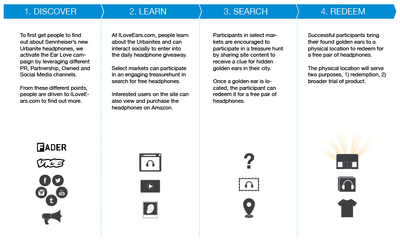 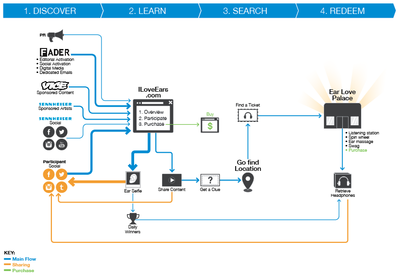 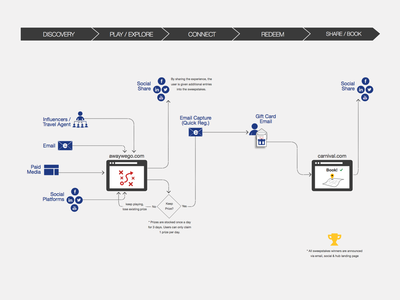 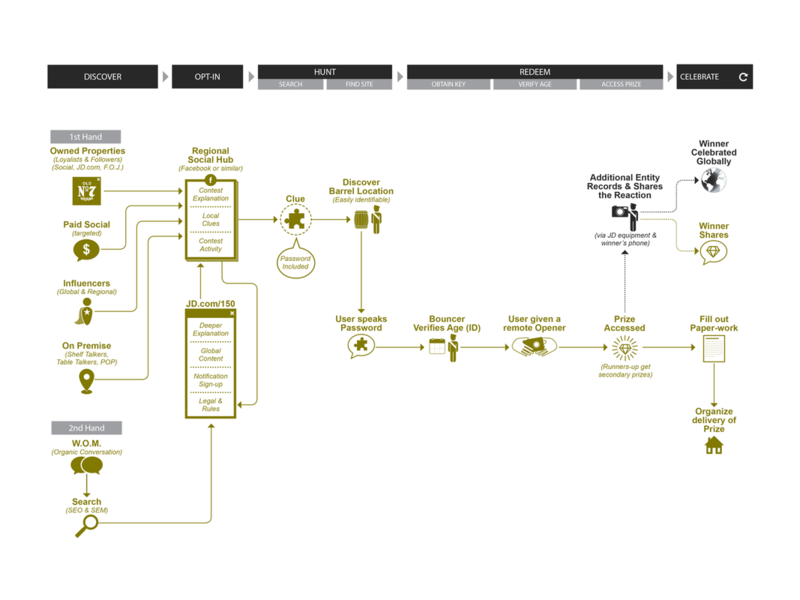 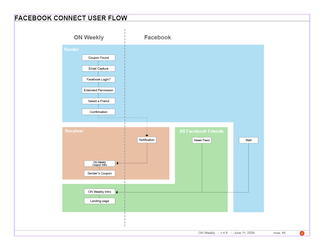 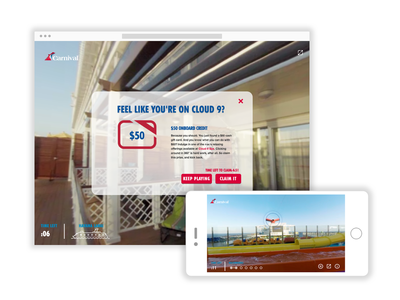 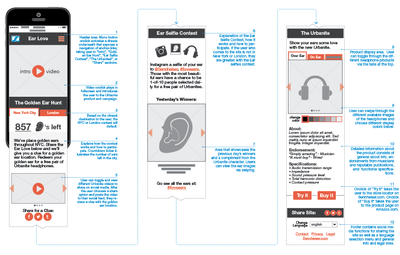 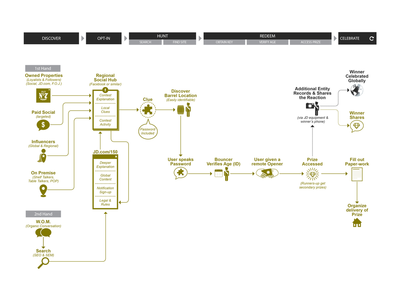 Lead the user journey through multiple digital touchpoints (website, banners, teaser site, Youtube, Twitter, Facebook). 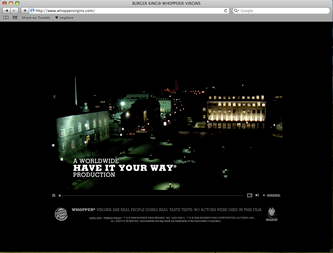 RESULTS: Teaser TV, print and banners announced our experiment to the world, directing the curious to WhopperVirgins.com. 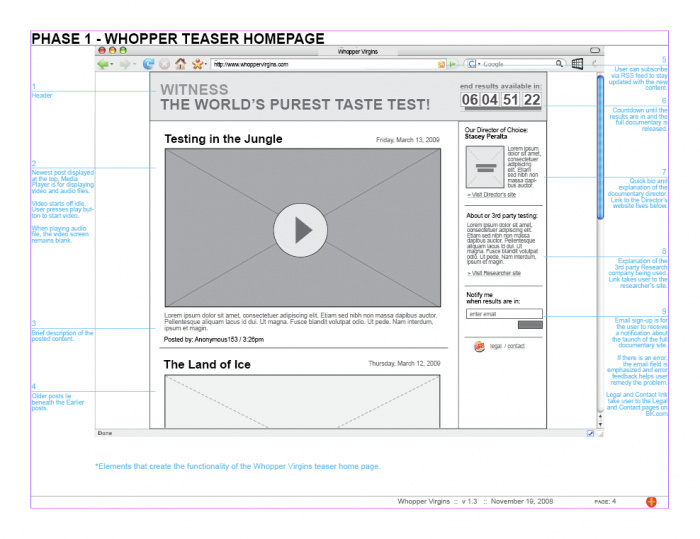 Visitors saw just how far we were prepared to go to prove the universal appeal of the Whopper. 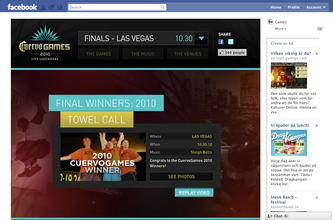 Immediately the internet and international media was buzzing with the news. After one week, countless blog comments and news stories were created as a reaction to the content. 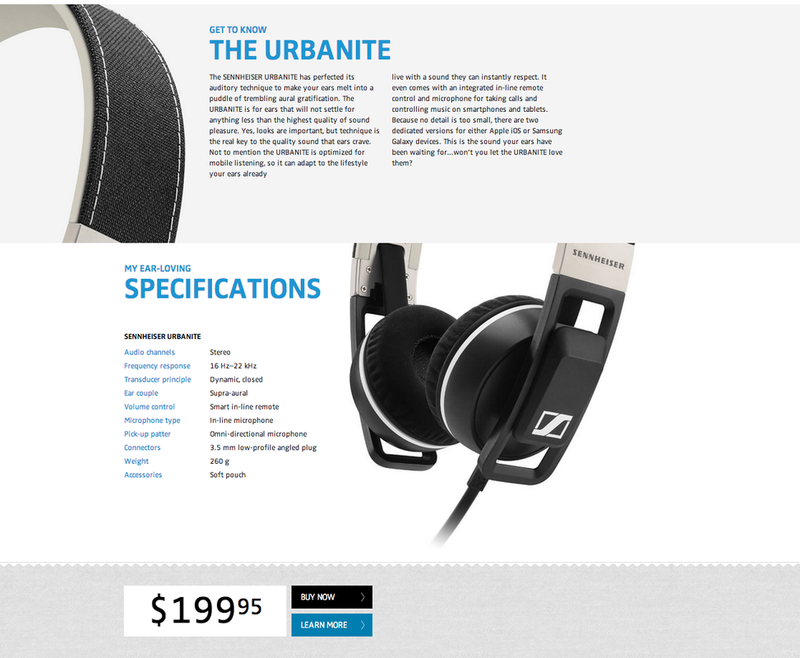 The site experience is still live. 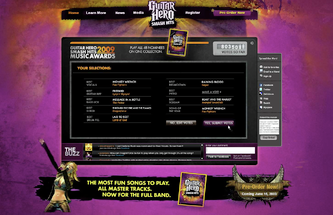 AWARDS: 2009 London International, Bronze • 2009 Effie Awards, Grand Effie. OVERVIEW: Guitar Hero's game "Smash Hits" combines the most infamous songs of Guitar Hero's previous games into one package. 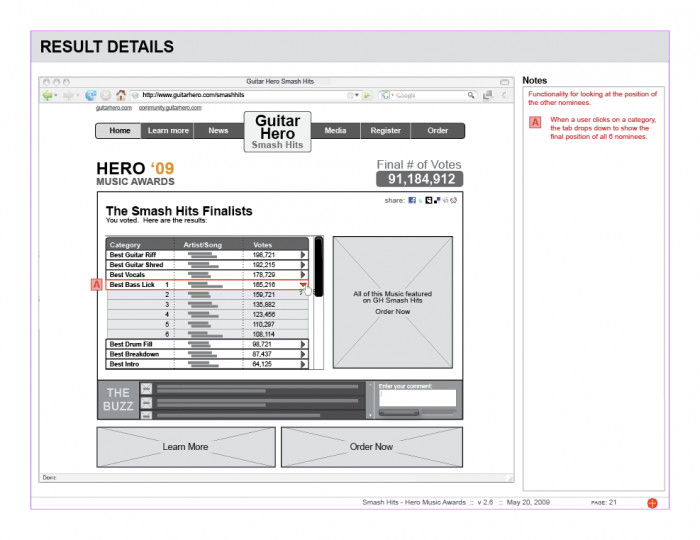 This game needed a digital companion that was just as impressive. 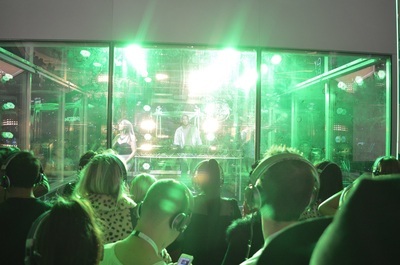 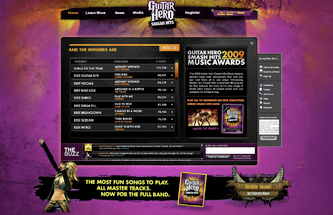 As a result, the Hero Music Awards was produced. 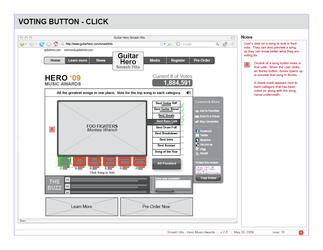 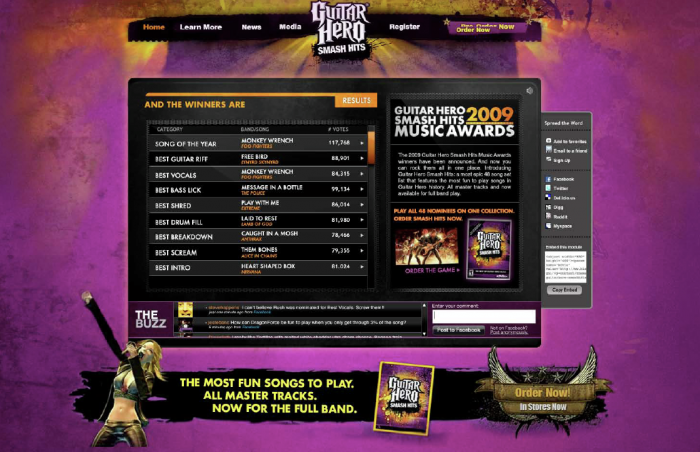 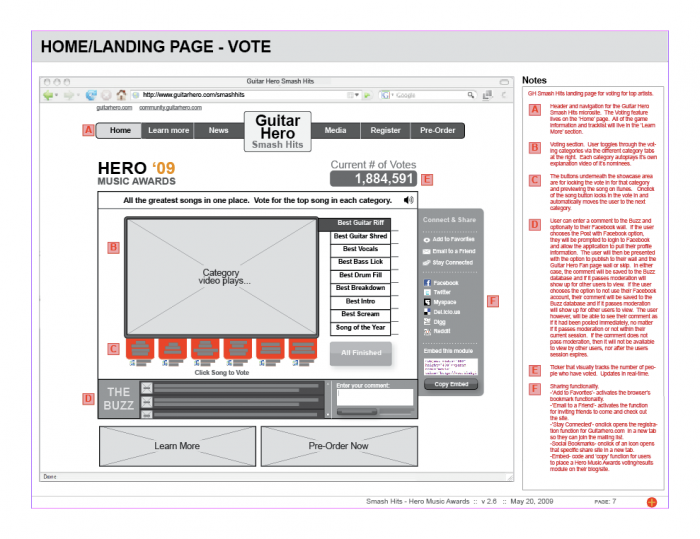 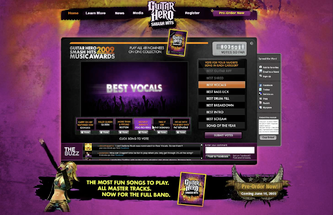 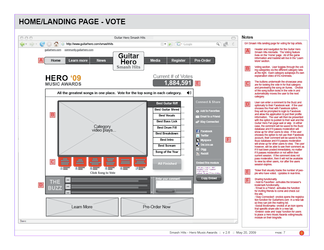 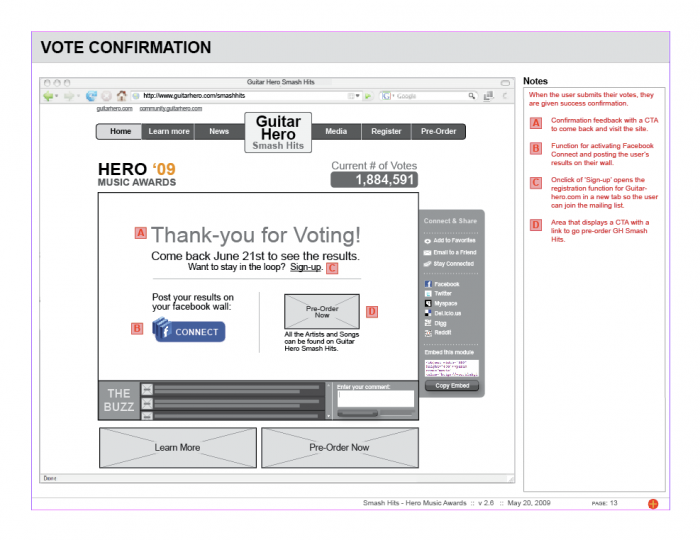 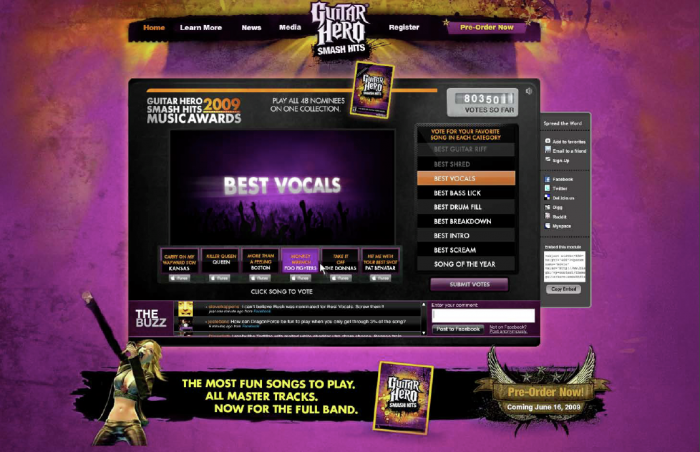 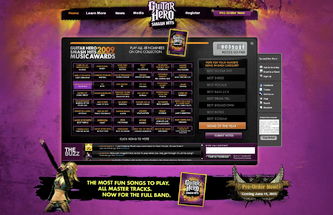 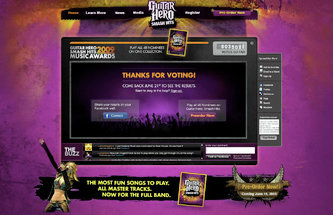 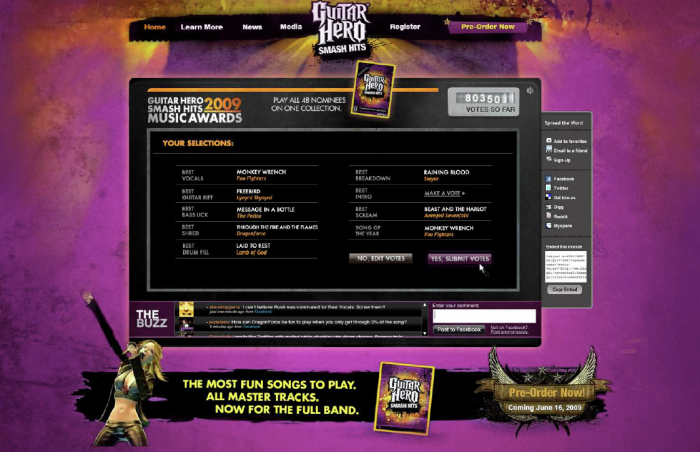 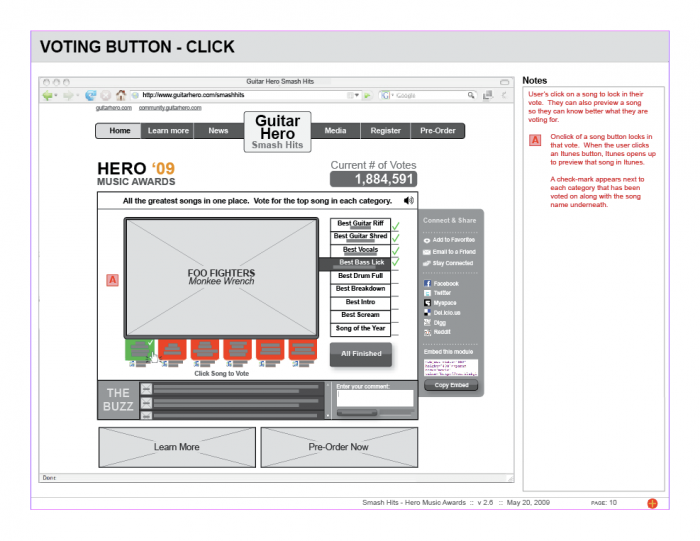 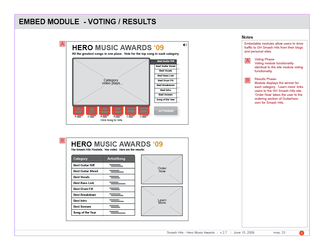 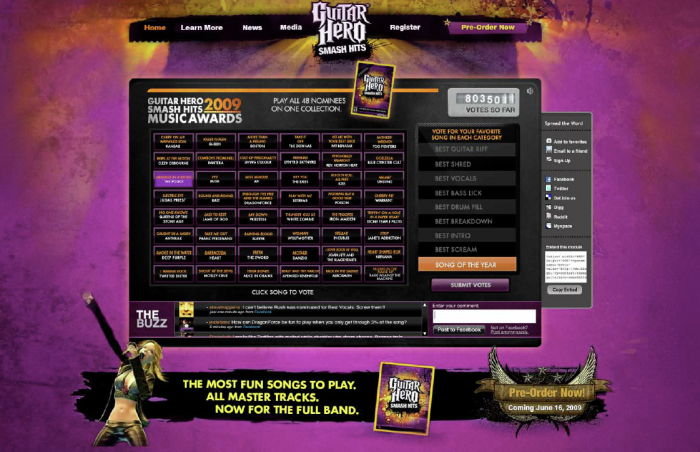 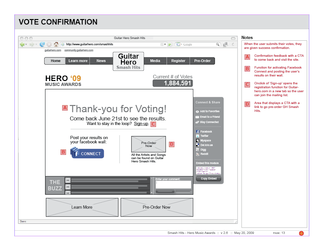 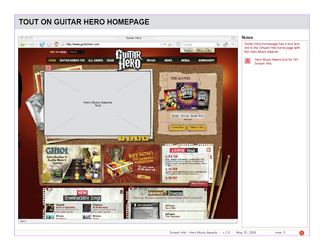 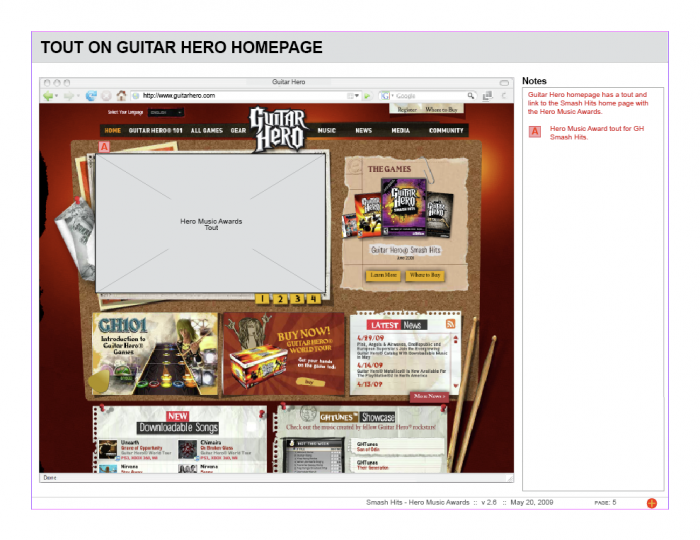 Living under the umbrella of Guitarhero.com, the Hero Music Awards was a large digital module on their official site that allowed users to vote on which artist fit best in each category. The goal of this was to create buzz around the game and to get user's to pre-order. 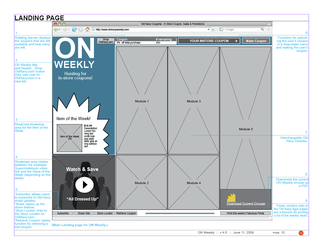 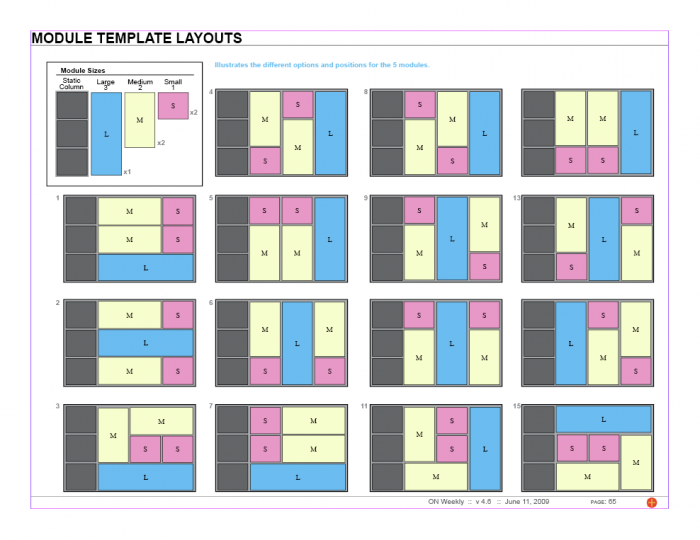 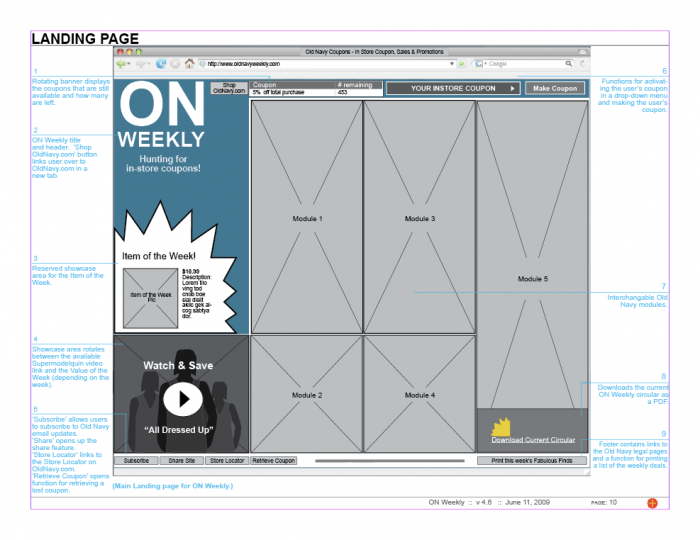 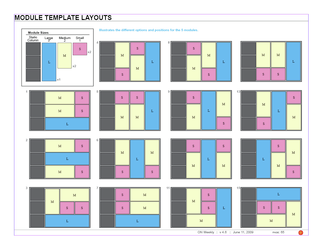 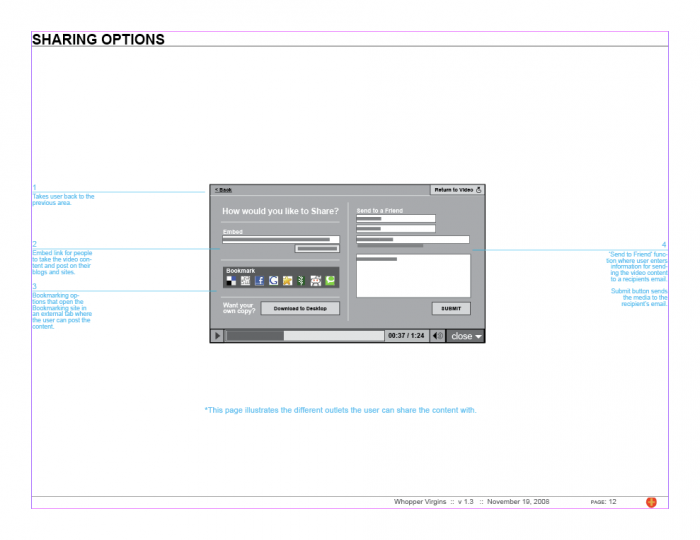 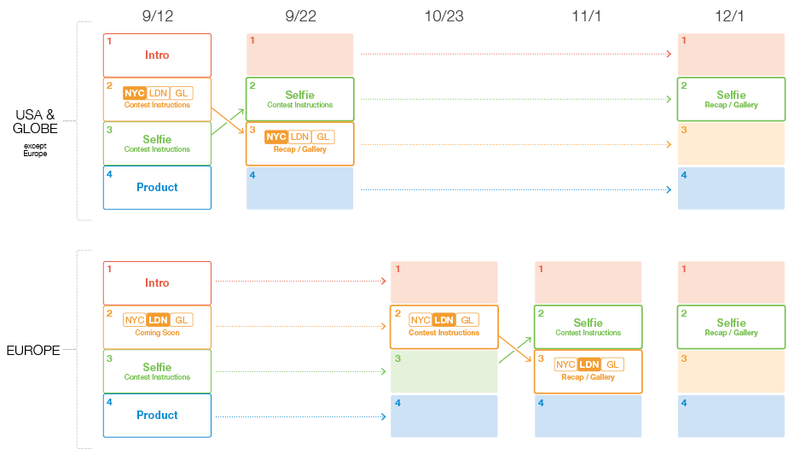 ROLE: Lead interaction designer and created all of the wireframes. 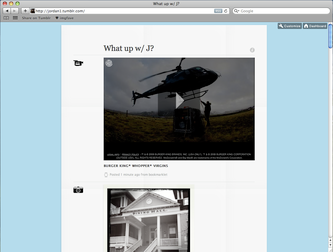 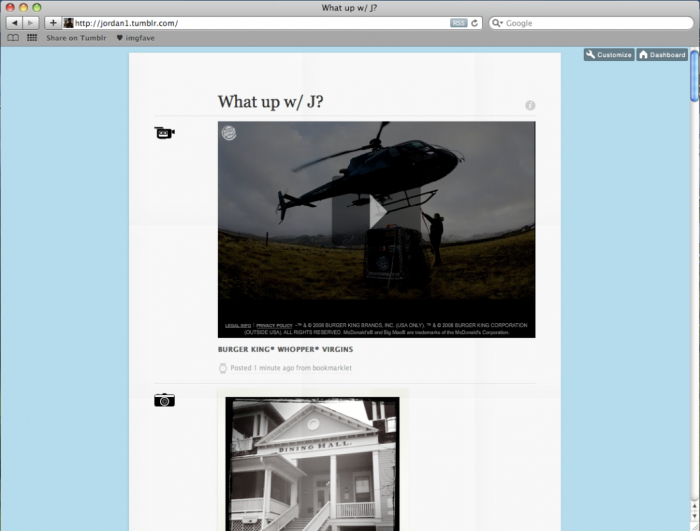 Built in the community the buzz aggregation and share tools to communicate the grandeur of this experience. 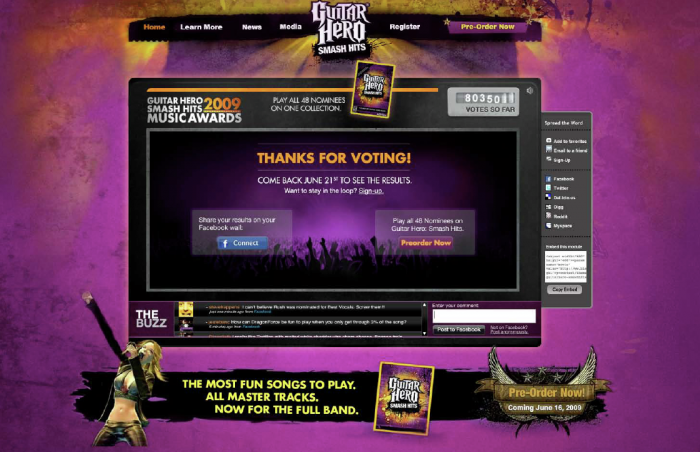 RESULTS: The voting phase lasted just under 2 weeks and 713,155 fans casted their submissions for the Hero Music awards before the results phase.